SPORTS SHOW, SPORTS GUYS. Thats us and that was the topic of the show this week. Some may ask, hey, what the hell do these guys know about sports? The answer is not much but we try hard. We did a little reminiscing about the glory days, and shared our favourite sports story. Shoutout Marc’s cousin Jimmy whose boys are taking on the New York Rangers this weekend up in Alaska, and shoutout legendary hockey coach Red Kelly for imparting some wisdom on Troy in peewee. Also shoutout Patrick Doodoocock, O-Lineman for the Cincinnati Bengals and Neil Kneecapison, catcher in the San Fransisco Giants farm system…two of the greatest completely real names in sports. 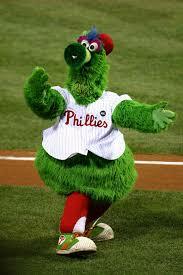 We also named our favourite sports mascots, and the Philly Phanatic has to be #1, the guy is green. Hilarious. Classic phrases. Thanks again for tuning in on Radio Laurier and on Facebook Live, we won’t see you next weekend, because we’re on the radio, but you can hear us. Have a good weekend and party without the smoke.